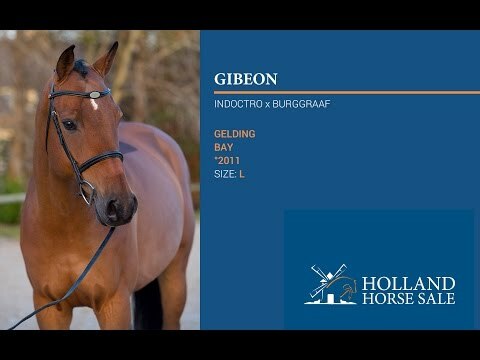 Gibeon is one of those horses that makes everybody fall in love with him. He's the perfect auction horse that would suit any barn. Pretty as a picture, perfect form and excellent rideability. His mother Promisely is a well tested mare by Burggraaf who did 1.35m level courses herself. Her halfsister gave, amongst others, the Grand Prix showjumper Gifted and Tasman Park Ovation who shows at CIC3* level.